It’s official – well almost. We are no longer just human beings; we have become, or likely always been, human microbiomes – an amalgamation of human and microbial cells, making each and every one of us a ‘superorganism’. It appears that there is a lot more to being human than was previously thought – far, far more. Microbial cells in our bodies outnumber human cells by a factor of ten; a human adult has roughly 10 trillion of their own cells and harbours another 100 trillion microbial cells within and on the surface of their body. Within this vast cellular democracy of human and host cells (although no one-cell-one-vote here), the ‘gut microbiota’ appear to have gained the elevated status of a ‘virtual organ’. The gut microbiota are currently believed to be one of the most important environmental factors impacting on our physiology and have been found to be crucial to our normal biological functioning. The significance of our hitherto ignored neighbours is starting to have an impact on therapeutics too. A new type of therapy, faecal microbial transplant (FMT), is in the pipeline, which begs the question; have we been flushing some of our best remedies down the toilet? But before we get to that, there is now the possibility that our most intimate of companions may be playing a significant role in one of the greatest pathologies to have afflicted modern man – obesity. Let’s take a closer look: what exactly is this non-human part of us? The human microbiota are a mixture of bacteria, viruses, fungi and archaea. The distal gut alone is one of the most densely populated microbial ecosystems on earth – a veritable bacterial Manhattan, and just as cosmopolitan – up to 1000 distinct bacterial species are purported to have taken up residence there. 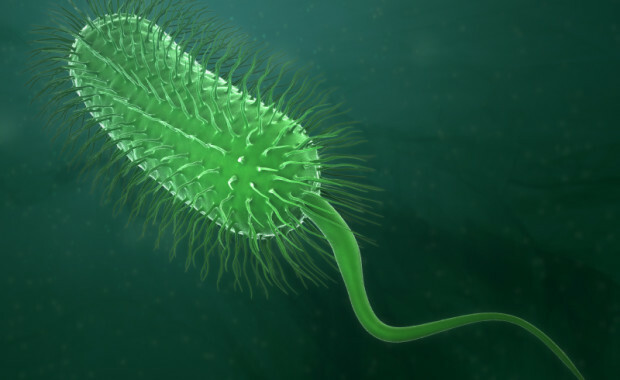 Despite this deluge of numbers, we have nothing to fear for the most part, from our bacterial migrants. Our relationship with the gut microbiota is usually one of synergy and symbiosis, so under normal circumstances they are not pathogenic, and in fact play an integral role in immune homeostasis and metabolism. There is even evidence that the gut microbiota can influence brain chemistry and, consequently, behaviour. Because the impact of gut microbiota on the host has been shown to be as important as that of other organs. Most of the gut bacteria are obligate or facultative anaerobes, which were previously difficult to cultivate; it is the recent development of metagenomics that has facilitated the study of these organisms and led to the current explosion of research on gut bacteria. Extraction of energy from carbohydrate not otherwise digested in the upper gut. Biosynthesis of vitamins B and K1. Aiding the maturation and proper functioning of the host’s immune system. Involvement in the differentiation and turnover of gut epithelial tissues. Having a role in the breaking down of dietary carcinogens. Conferring protection against pathogenic bacteria, toxins and antigens. Humans are born either sterile or colonized with a very basic microbiome; the microbiome that is eventually obtained is partly inherited from the mother and partly from exposure to the environment in infancy. What’s more, our colonising companions don’t have a set pattern in which they choose to set up home; each individual human has a unique collection of microbes, which varies with age and even with different disease states. The obesogenic impact of the microbiome begins early. For example, the use of antibiotics in infancy has been associated with a higher BMI in childhood. Antibiotics have historically been used to fatten animals, so it should come as no surprise that they have a similar effect on humans. However, the main factor influencing the composition of the gut microbiota is diet; others include genetics, stress, gut surgery and faecal transplants. Most relevant to us here, the gut microbiota have been shown to play a significant role in nutrient and energy extraction as well as in energy regulation. What is also new is that disorders of the gut microbiota (aka dysbiosis) are associated with and might be partially responsible for a plethora of non-infectious diseases such as diabetes, metabolic syndrome, asthma, autoimmune diseases, inflammatory bowel diseases and certain cancers, as well as neurological conditions such as multiple sclerosis, depression and autism. Microbes are doing a lot more than just making us fat. One of the main functions of the microbiome is regulation of inflammation. The regulation of inflammatory responses by the gut microbiota is one of the key factors connecting diet and disease; a less diverse array of microbes is associated with an increased likelihood of low-grade chronic inflammation. The composition of the gut microbiota has been found to differ in obese and lean people; the microbiota of obese mice (and men) includes fewer Bacteroidetes and correspondingly more Firmicutes than that of their lean counterparts. Studies on obese mice have shown that the ‘obesogenic microbiota’ are transmissible. Colonization of germ-free, lean mice with the microbiota from obese mice results in a significantly greater increase in total body fat than when they are colonised with microbiota from lean mice. Okay, so there is ample evidence for the gut microbiota playing a role in the development of obesity in rodents, but does this translate to humans? Several studies show that it does: a recent Dutch study looking at the effects of infusing intestinal microbiota from lean donors to male recipients with metabolic syndrome showed that the insulin sensitivity of the recipients increased, as did the levels of butyrate producing bacteria (which are beneficial). If altering the microbiota in humans can improve insulin sensitivity, surely it is only a matter of time before we know exactly which microbes are contributing to the obesity epidemic? Studies in both humans and rats have shown that a Roux-en-Y gastric bypass (RYGB) restructures the gut microbiota. Transferring gut microbiota from RYGB-treated mice to non-operated, germ-free mice results in weight loss and a decrease in fat mass in recipient animals; changes in the gut microbiota might possibly contribute to this weight reduction and decreased adiposity after RYGB surgery. (RYGB results in an improvement in diabetes, usually within days of surgery, and well before any significant weight loss occurs). What’s more, our uninvited guests are fussy about the fare with which we provide them; the response of the gut microbiota alters with diet as well as between individuals – they clearly have their own culinary predilections and aversions, causing some to stay and others to move out. Gut microbes respond quickly to a change in diet; a study on humans showed that the gut microbiota altered drastically with varying the calorie intake (from 2400 to 3400 kcal/day) in as little as three days. A study on mice showed that switching from a low-fat, plant polysaccharide diet to a high-fat, high-sugar Western diet altered the structure of the gut community and metabolic functioning within twenty-four hours. Studies on obese adolescents have shown that how much weight they lose on a calorie-restricted diet depends upon the initial composition of their gut microbiota. Another study on mice at the University of Chicago showed that feeding them different types of fat produced differential effects on their gut microbiota; it isn’t just the total amount of fat or carbohydrate that is important, the type matters too. Carbohydrates are a complex group of substances with diverse physiological effects. It has been suggested that instead of lumping all carbohydrates into one large macronutrient group, we should start looking at their individual contributions to physiology and clinical benefits, as we do for dietary fat. For example, even though fibre and refined sugar are both carbohydrates they give rise to widely differing effects – populations consuming large amounts of dietary fibre have a lower incidence of inflammatory disease, type 2 diabetes and colon cancer, whereas the converse is true of populations which consume large amounts of refined sugar. One mechanism whereby fibre exerts its benefits and refined sugar engenders harm could be via the gut microbiota. So when looking at the effects of a ‘low-fat’ or ‘low-carbohydrate’ diet it is important to know exactly which fats and carbohydrates have been excluded. Official guidelines tout low-fat diets as being optimal, but also state that olive oil and fatty fish are beneficial; doctors and dieticians should stop giving conflicting advice and peddling ‘low-fat’ or ‘low-carbohydrate’ diets. Instead we should recommend exactly which types of fats and carbohydrates to exclude. Worldwide obesity rates have doubled since 1980. More than 10% of the world’s population is now obese. 26% of adult Americans are obese. 25% of UK adults are obese. Clearly obesity is a big and rapidly increasing problem. It goes against the grain to think that there could be more to obesity than simply eating too much and burning too few calories, but recent evidence does in fact show that the story of obesity is a lot more complicated than an imbalance between calories consumed and calories burned. Of course one can’t flout the laws of thermodynamics; energy is always conserved and ‘a calorie is always a calorie’, but what is easy to forget is that even though the caloric content of food remains constant, different people extract varying amounts of energy from the same food because everyone metabolises food slightly differently. It seems obvious that someone who is suffering from dysentery will extract fewer calories than someone who doesn’t have dysentery; but it isn’t only pathogenic bacteria such as Shigella that alter our rates of calorie extraction – our resident microbiota have profound effects on how many calories we extract from food. Even if the difference in calorie extraction between two people were only 1%, that 1% could amount to obesity over the course of several years. So a calorie to me isn’t the same as a calorie to you, because we both metabolise them differently. As diet has such a big influence on the composition of the gut microbiota it would seem prudent to consume a diet that maximizes their beneficial effects. According to the GI Diseases Research Unit in Ontario the restriction of carbohydrates to those of low density produces a less inflammatory microbiota. In their opinion an ideal diet would include unprocessed fruits, vegetables, fish, eggs, meat, nuts and not much else, (i.e. we should exclude high density acellular foods such as sugar, refined oils and flour). This is backed up by research from Lund University in Sweden where they have conducted extensive studies on markedly different populations and concluded that a macronutrient-independent diet of whole foods is best. Or to put it simply, the ‘fat: carbohydrate: protein’ ratio is unimportant – of much greater importance is the precise type of each macronutrient. The conglomerate of human host cells and microbial genomes is also known as ‘The Human Microbiome’. (Microbiome = collection of microbial genomes). The microbial genetic repertoire of these microbes outnumbers that of the human host by approximately 100 to one. The human microbiome plays an integral role in immune homeostasis and metabolism. Within the human microbiota, the gut microbiota seem to be of particular importance. (Microbiota = the microorganisms that typically inhabit a region). The distal gut is one of the most densely populated microbial ecosystems on earth and houses up to 1000 distinct bacterial species. The gut microbiota are considered by some to be a ‘virtual organ’. Disorders of the gut microbiota (aka dysbiosis) may be partially responsible for non-infectious diseases such as obesity, diabetes, asthma, autoimmune diseases, certain cancers and neurological conditions such as MS, depression and autism. One of the mechanisms whereby the gut microbiota influences non-infectious diseases could be via its effects on inflammation. A less diverse array of microbes is associated with a greater likelihood of low-grade chronic inflammation. Diet is the main modifier of the gut microbiota. The composition of the gut microbiota varies between obese and lean people. The gut microbiota alters weight gain via its effects on gut hormones and by influencing how much energy is extracted from food. The ideal diet would include only unprocessed fruits, vegetables, fish, eggs, meat and nuts, (i.e. no sugar, refined oils or flour). Besides diet, other modifiers of the gut microbiota include stress, antibiotics, surgical procedures and faecal transplants. The Human Microbiome Project (HMP) is a global project set up to understand the microbial components of our genetic and metabolic landscape, and how they contribute to our normal physiology and predisposition to disease. The earliest documented evidence of using human faecal therapy comes from a 4th Century Chinese handbook of emergency medicine. According to this book, a ‘yellow soup’, which was actually a human faecal suspension, was used to treat patients with food poisoning or severe diarrhoea. This treatment apparently produced miraculous results, bringing patients back from the brink of death. A thousand or so years later the 16th century Chinese ‘Compendium of Materia Medica’ describes the use of an assortment of faecal concoctions for the treatment of severe abdominal diseases with very effective results. Fast-forward to the 20th century and the big re-discovery of FMT for c.difficile infections (CDI). The first published use of FMT in the West was by Eiseman in 1958, when it was successfully used for the treatment of pseudomembranous colitis. In the 1980s this success prompted clinicians to attempt FMT on patients with chronic relapsing c.difficile diarrhoea; these small trials achieved dramatic cure rates of 90% with the first treatment, and 98% after a second treatment. Due to the high cure rate of FMT in recurrent CDI, there has been considerable interest in the use of FMT for the treatment of obesity and other dysbiosis-associated conditions. The possibility of extricating particular bacterial strains that can be used in the treatment of dysbiosis-related diseases is on the horizon. ‘Poo-pills’ from a Boston Biotechnology company have entered clinical trials and aim to treat diseases using live faecal microbes– enter ecobiotics. We live in a peculiar world where many are dying from obesity-related diseases, whilst others suffer from the effects of malnutrition, (a dysfunctional gut microbiome seems to be also implicated in the aetiology of severe childhood malnutrition). The gut microbiota influence both sides of the energy-balance equation by altering nutrient absorption and also regulating host genes that affect adiposity. The current obesity epidemic in Western countries might not be only about ‘too much food and too little exercise’; it appears to be the result of a complex interaction between genetics, epigenetics and the gut microbiota. As diet is a key player in configuring the gut microbiota, dietary methods would appear to be the simplest means of treating the dysbiosis of obesity. Finally, the genetic information within our resident microbes outnumbers that of the human host by approximately 100 to one. Hence the possibility now exists that diseases that were apparently genetic and whose causative genes have not been located are in fact heritable, but the genes causing them are bacterial. The microbiome may link generations in previously unsuspected ways. Posted in Latest evidence and tagged microbiome. ← Treatment of diabetes and diabetic complications with a ketogenic diet.